Connor McGregor and his significant other Dee Devlin have been dating for eight years now and even have a baby boy together. According to new reports, the two might finally make the big step and tie the knot very soon. Following his hugely anticipated £500million boxing match against Floyd Mayweather, the cage fighter might be walking down the aisle with his beloved girlfriend. Pals close to McGregor revealed that he is ready. One source claimed 2018 might be the year he finally pops the big question to his baby mama. The two are parents to son Conor Jr. and might be getting married in Dublin as soon as next summer. 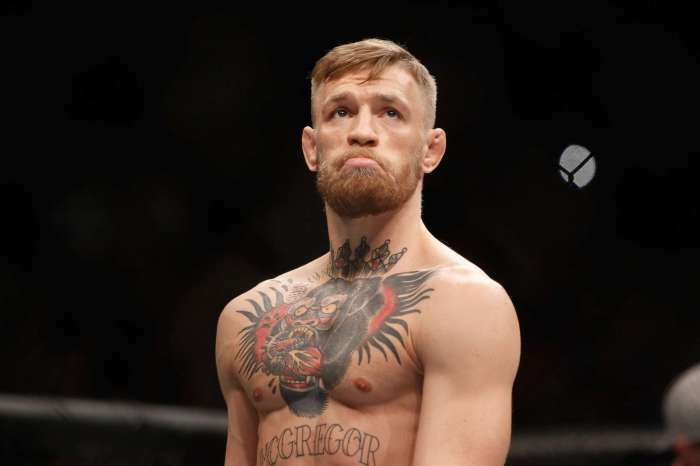 The UFC pro is reportedly the second wealthiest sportsman in Ireland, following closely behind golfer Rory McIlroy. But his worthy opponent, Mayweather, has never lost a match and not even McGregor was able to defeat him. Another insider for the UFC champion revealed that despite the defeat Conor is still planning on celebrating the historical match. ‘The last few years have been all about his career and becoming a family.The Mayweather fight has taken up much of his time this year, but he is taking a break after it. It will be the biggest wedding Dublin has seen. Conor doesn’t do things by halves,’ the friend dished. The couple met back in 2009 at a nightclub. The sportsman is very grateful for her unconditional love and support and says Dee has always been the driving force behind his success. ‘She stuck by me when I had essentially nothing,’ he previously admitted.